Sign up and receive Property Email Alerts of Farms for sale in Pringle Bay, Pringle Bay. 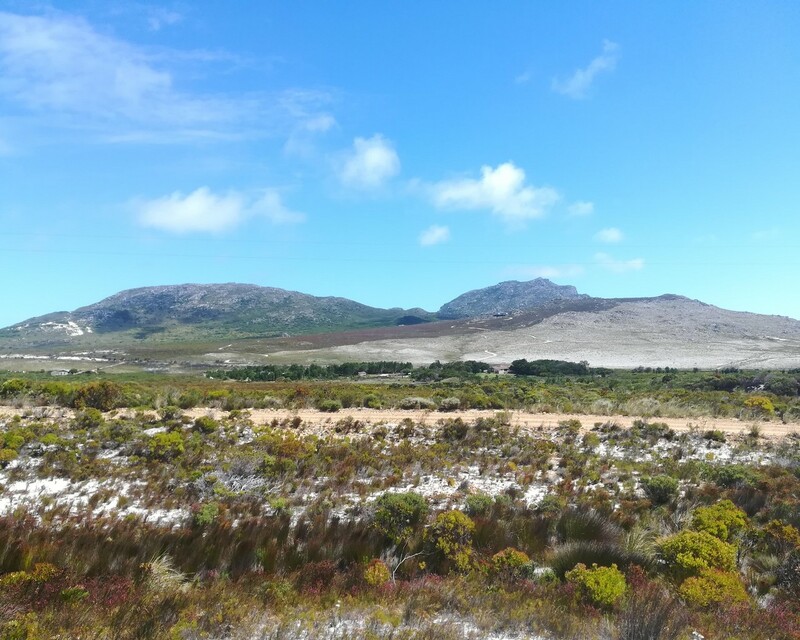 This scenic 8.567-hectare smallholding property is situated along the base of the Kogelberg Biosphere Reserve between Pringle Bay and Betty's Bay. It is covered by indigenous fynbos vegetation, which includes a wide variety of Protea, Leucadendron, and Erica shrubs, as well as Cape reeds (Restionaceae). It has splendid views towards the ocean over Betty's Bay in the east, and a breath-taking view of False Bay and towards the Cape Peninsula in the distance to the west. With its very gradual gradient towards the Kogelberg mountain base, this expansive and naturally biodiverse property would make a perfect location for your retreat and for spending days out in the sun. This single residential property is well-situated for building a home of your dreams. It is situated 72.6 km from Cape Town International Airport, and 86.1 km to Cape Town city bowl. To the nearby local amenities of Pringle Bay are at a distance of 3.9 km, and it is 8.4 km to Betty's Bay, itself. The iconic seaside town of Hermanus is 56 km distant; and 29.5 km to Bikini Beach at picturesque Gordon's Bay. This also puts you not too far from the hustle and bustle, should you so desire. Sign-up and receive Property Email Alerts of Farms for sale in Pringle Bay, Pringle Bay.